An average e-commerce business allocates 80% of its budget on acquisition, while 41% of overall revenue comes from repeat customers. That’s almost half of the revenue you can bag without leaping into acquisition costs. Learn more about how you can turn your dormant customers into repeat customers and loyal advocates. Charles Darwin used to say that whenever he ran into something that contradicted a conclusion he cherished, he was obliged to write the new finding down within 30 minutes. Otherwise, his mind would work to reject the discordant information, much as the body rejects transplants. ~ natural inclination is to cling to our beliefs, particularly if they are reinforced by recent experience--a flaw in our makeup that bears on what happens during secular bull markets and extended periods of stagnation. Marketers live this belief. 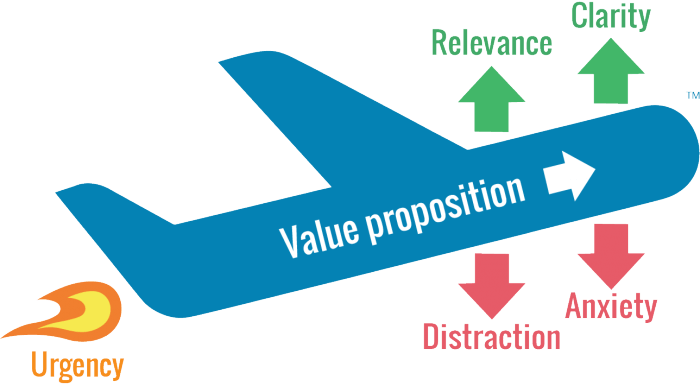 Precisely why 40% marketers prioritize acquisition over engagement or retention efforts. The graph below shows two stores that initially sell a product of $10 and Store A (grey line) retains 5% of its customers and Store B retains 15% of customers. As time passes, Store A sees a growth of 5% and store B see a growth of 10%. This is the hike you will see if you retain your customers. 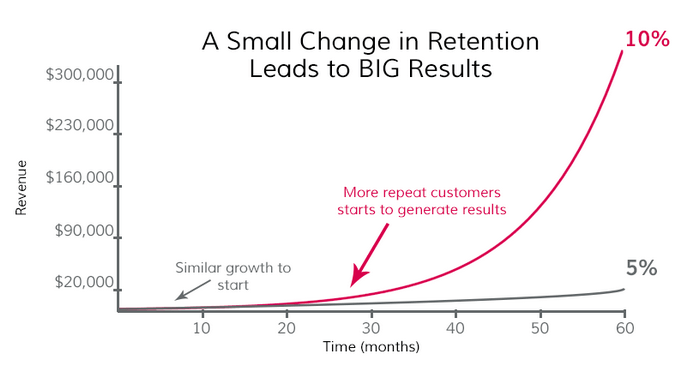 Time and again it has been established that retention efforts over a period of time can lead to significant impact on revenue. Leading e-commerce brands such as Sephora, Jabong, Watchfinder invest heavily in nurturing their customers, which makes it possible for them to receive 76% of the revenue from repeat customers. Dormant customers are customers who you have ignored and hence gone inactive. Anything you don't pay attention to is going to go away. That's how the universe works right? You can expect an indoor plant to grow if you don't water it, give it proper sunshine and add fertilizers. Same logic. This graph is a wonderful example that shows that as time passes, customers stop engaging and enter the ‘Danger zone’. You need to know your Danger Zone. When is it that the customers usually get lapsed? Accordingly, double down your efforts to get in touch, engage and amuse them, before they slip away. But how do you make sure what went wrong? All you have to do is ask them of course! “If users face a problem they will let you know.” - This is not how it works. You need to take the initiative to intervene and find out if everything is going on smoothly. Sessions - advisable to choose customers who have had more than 10 sessions. This shows that they have shown some interest in your store. Last day since session - this depends on the kind of product you sell, as mentioned above. Session duration - If they are interested in the products you send, they would spend a considerable time on your website. The idea here is to intelligently segment the customers. You need to track high-value customers that go inactive. If a customer has transacted only during a sale and left or if the days since the last visit is more than your average churn duration, you need not target them. Even if you bring them back with special offers, they might convert just for the offer and leave yet again. Target customers who have genuinely shown interest, transacted and have shown an intent of purchase, and turn them into loyal customers. High-value, high frequency- Focus on loyalty programs and providing them special offers. High-value, low-frequency - Cross-sell low-value products to encourage further conversions. Low-value, high frequency - Reach out to users with flash campaigns, discounts and reminders. The purchase cycle of a clothing store and a diamond jewellery store will be entirely different. Similarly, you can’t expect the same customer to buy coffee every week. If you exclusively sell winter wear, the purchase cycle will be entirely different. You can’t expect users to convert during summers. 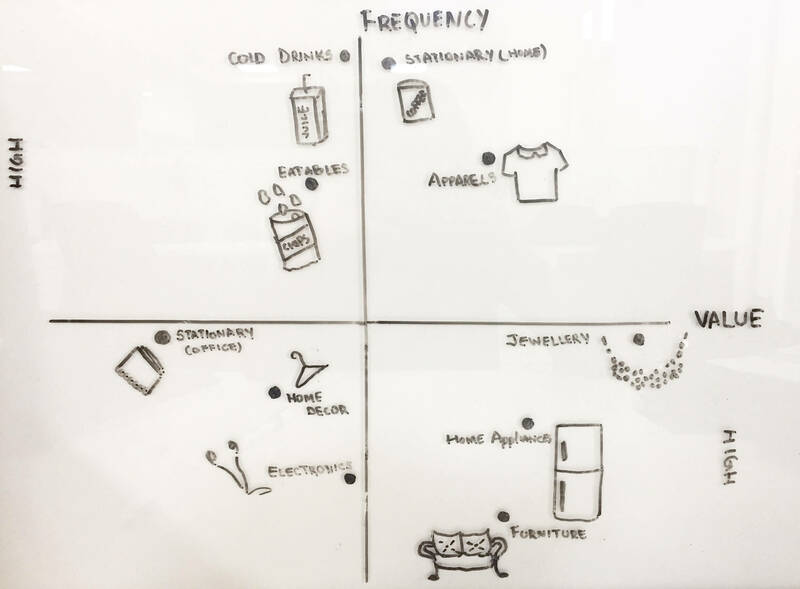 The line of products you sell and the purchase frequency hence differs. If you have a store that sells almost everything, you can target customers with high-frequency products, build trust and then target them with high-value products. Identify your Foot in the door category and target your inactive customers. The probability of them buying a high-frequency product of low-value is more than them buying a high-value product. And then gradually lead them to a product that you actually want to sell. Marketers believe that the customers who leave are gone forever. But that is far from true. Marketers who created “inactive customers” campaigns brought back almost 10% of customers that had not purchased for more than 60 days. More than 50% of Jabong’s Intl’s subscribers were inactive. With behavioral segmentation, they reactivated 31% of their inactive base and achieved 65% transactions from them. Now that we have established its possible to reactivate them, let’s see how you can bring them back and make them convert. Retargeting dormant customers is not going to be easy let me tell you this. They are inactive for a reason. But once you get their attention, you will hit a goldmine. P.S. - In the end, we will show you some marketing tools that you can use to promote these strategies. One way of doing this is taking price sensitivity seriously, to break action paralysis. Most of the time it the price that puts the customer off. See how they have reacted to price in the past. Send them a discount or give them a coupon code encouraging them to purchase. Here are a few price comparison tools that you can make use of to price your products right in the first place. PriceMole helps track competitor pricing, helps build an intelligent pricing strategy, automates tracking and repricing, helps keep track of pricing history and analytics. Helps reduce and increase price depending on how well the products get sold. To catch eyeballs, you need to bring out something big. And more than pricing, sometimes it is about not receiving personalized offers and discount or coupon codes that drifts them away from your site. You need to interact with them by actually giving them what they really want to see. If a user has bought a product that can be upgraded, tell them! Give them a special offer they can avail to help the product perform better. Or do they have something in their cart that can be upgraded? For example, if a user buys a 4GB ram, he can be encouraged to buy 8GB ram at the same price. 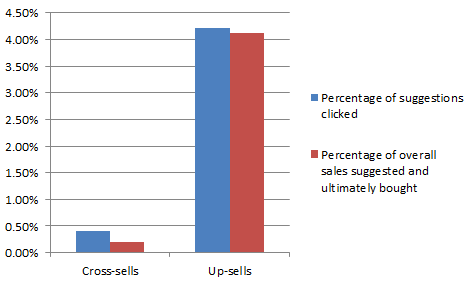 You might think trying to upsell a product would be difficult, but upselling is 20X more effective than cross-selling. Pack personalized offers with Time-bound offers. Tapping into urgency can encourage the customer to convert quicker. For example- Free Nike merchandise for first 10 customers who buy a ‘Nike Zoom’ shoe in the next 2 hours. This LIFT model highlights the importance of urgency for other factors to take flight. Customers love the idea of getting something for free. With BOGO offers, customers get two products by just paying for one. This encourages them to browse your store and convert. For example, if a customer likes superhero t-shirts, you can give the offer to get one t-shirt for absolutely free! Dormant customers would have converted at least once and hence, they would have bagged some points. The customers might not even realize they have points at their disposal or might have slipped their mind. Now, this is a wonderful opportunity to knock at their doors and tell them you can buy something for free! This encourages the user's to buy something from your website and also push them to buy more so that they can accumulate more points for a future purchase. Customers sometimes forget that they have added something to their cart. Bring it up, remind them and slide in an offer to encourage them to convert. For example, if a customer has added a Boat headphone, show them that it’s on sale, or that the stock is limited. iZooto, a web push notification platform helped My Bageecha recover abandoned carts and increased order value by 56.48%. Recover abandoned carts with automated personalized Web Push Notifications. Get started Now! 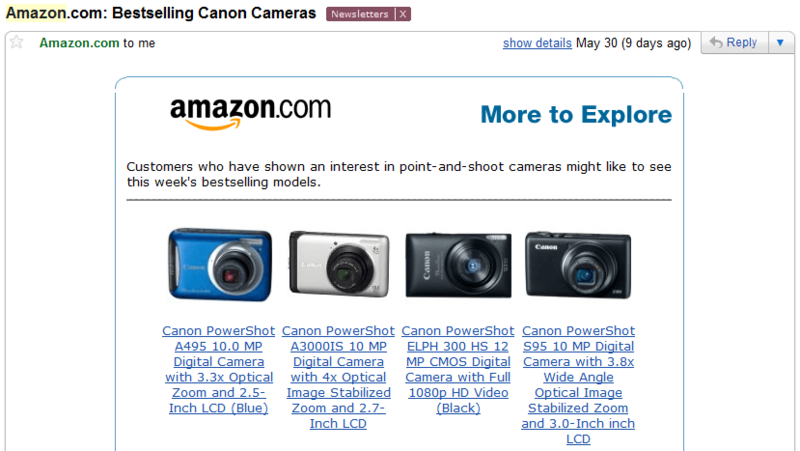 Customers might find the product they are looking for, but just to realize that it is out of stock! Now that pisses the customers off. You need to make sure that as soon as the stock is back, they should be informed. This keeps them in the loop and builds their trust. Hold a contest and give free giveaways like coupons or gift cards. Engage with them and encourage them to participate. For example, bring them back to your site and make them take a poll or register themselves for the contest. You could also take the user-generated content approach, where the best photo and tagline could win. This not only engages the customers who take part but also builds trust among other customers as well. 82% of shoppers say that user-generated content is truly valuable when users are pondering about a converting. It could also be possible that you haven't pampered your customers. Loyal customers expect special offers that are given exclusively to them. When they don’t receive a special treatment they tend to drift away. A 2016 study found that loyalty programs generated 18 percent more revenue. Web push notifications help to reactivate dormant customers by engaging, retaining and retargeting customers. Know all about e-commerce retargeting using web push notifications in this in-depth guide. And since they are supported on both desktop and mobile they reach out customers, no matter what device they are using. Customers don't have to open their inbox to receive the notification and it doesn’t cram space as well. Web push is not spammy as customers opt-in themselves. Notifications are sent according to customer activity and interest, therefore providing value to the user. Jabong implemented web push notifications and received 45% boost in Cart Value and 82% higher conversion rate. You can have a look at some web push templates that help evoke the right emotion while retargeting. Send contextual notifications to engage, retain, retarget abandoned cart and increase conversions. Helps you segment customers and personalize notifications easily. They also provide ready ‘Playbooks’ to create campaigns swiftly. Add Web Push Notifications to your website in minutes. Get started! Emails have become an inseparable part of daily life. Which makes it a good choice to retarget dormant customers. Some tools allow you to segment customers and helping marketers send relevant emails. 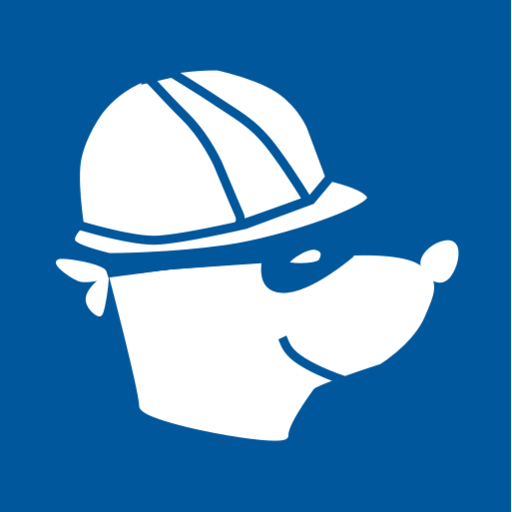 Doggyloot created personalized campaigns and saw a 750% boost in their CTR. Here is a cart abandonment email template that they have used. But again the catch here is that they need to open your mail to know what's inside it. Most of the times they end up in the promotional folder. Send automated personalized emails. Create targeted campaigns based on buying behavior. Influencer marketing works wonders while retargeting, provided you choose an influencer suited to your brand and interests of your customers. The influencer can share ‘sponsored content’ on their blog, social media, column, and influence the customers. Levi’s reached out to Jenn to promote them on her popular YouTube channel, Clothesencounters to reach out to a targeted audience of fashionistas. Craftsvilla collaborated with social media influencers Debashree Banerjee, Gia Kashyap and Anshita Juneja on Twitter, Instagram and various different blogs to build brand recall. With this, they were able to reach out to millions of their target users in two months. Ninjaoutreach has given 7 types of influencer collaboration, to get inspired from. A comScore study revealed that retargeting ads led to a 1046% increase in branded search and a 726% lift in site visitation after four weeks of retargeted ad exposure. Over the last 2 years, the number of small and medium-sized businesses advertising on YouTube has doubled. On mobile alone, more 18- to 49-year-olds watch YouTube during prime time in the United States than they do the top 10 prime-time shows combined. Missouri Star Quilt Co. used video ads on YouTube when they first started off and was able to reach over 1 million potential customers and make over 14,000 online sales. They targeted people in the market for textiles. Here is how you can add an overlay ad (meaty stuff starts from 4:12 mins). Note - Non Skippable ads and Bumper ads get charged per impression. For other ad formats, you only have to pay if someone watches the ad for more than 30 seconds or clicks on your ad. Overwhelming? Check out this free course on ad promotion on YouTube to know all about YouTube ads. Display ads help target users on different websites. You can add an image, a video or audio on websites where your inactive users usually browse. Display Ads reach over 90% of internet users worldwide! You can log on to your Google AdWords account to start off with Display Ads. Watchfinder, UK’s largest online watch dealer achieved an ROI of 1,300% in just 6 months with Google AdWords. Being active on social media matters more than you think. You need to be, wherever your customers go. Facebook and Instagram, in particular, is helping marketers retarget customers. Chubbies shorts, achieved a 35.5x ROI with Facebook retargeting. Check out 674 E-commerce Facebook ad examples to get inspired. Here is how you can start off with Facebook ads. This is the youngest one amongst other socials ads but has yielded higher ROI compared to other ad campaigns. Instagram has more than 800 million active users and 75% users take an action after viewing the posts. Vitaly, a lifestyle fashion brand retargeted customers on Instagram ad stories with a personalized approach. With these ads, they have received more than 243,000 people and successfully achieved a 3.9X return on ad spend. Instagram ads work! Here is how you can get started with Instagram ads. Retarget users who have previously seen a product on your site. Automated solution for running Dynamic Facebook and Instagram Ads. Build dynamic ads that feature personalized product recommendations. Note: When it comes to e-commerce advertising, Twitter is not far behind. 41% of people on Twitter purchased products after being exposed to an ad in a month. Check out this article to know how you can set up twitter advertising or you can get started with Twitter ads here. With these ads, you can target customers who don’t respond to Email and Web push notifications. You are just another fish in the ocean. You need to get your retargeting right to make a dent in the e-commerce world. With these tactics put your retargeting campaigns on track and increase sales like never before. This article was originally published on Search Engine People. Convert more of your website traffic into sales with iZooto Web Push Notifications. Start your FREE trial Now.